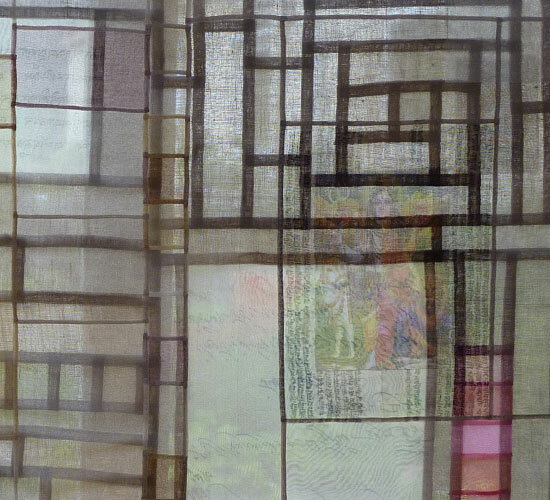 In 2009 I attended a workshop with Chunghie Lee in Pojagi, the Korean wrapping cloth. She encouraged taking the traditional stitching method and playing with it. 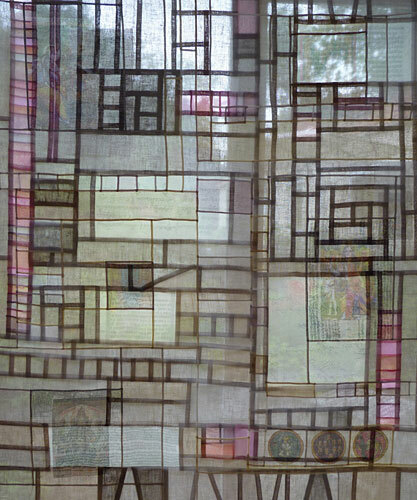 For me the Mondrian like patterns which the seams create, especially when made with translucent materials are fascinating, and as I only hand stitch, the meditative rhythm is all part of the appeal. I would like to think that this is only the beginning of the experiment. Finding a source of hand woven linen in N. Ireland where I was born was a lucky chance. Materials used are open weave linen and silk organza.